When I found out that The Socratic Salon was going to be discussing Last Night in Montreal, I decided to jump on board. Station Eleven was one of my favourite books last year, and I was curious about her others. This seemed like a good chance to check one out. The group who participated in the discussion seemed to be divided in their feelings for this book. Some thought is was okay but forgettable, while others really liked it. I was one of the ones who liked it. I thought it was well written with an appealing premise, and that the story unfolded in a way that kept me wondering and putting together the puzzle. Even though I did have most of it figured out before it was revealed, it didn’t seem to take away from my enjoyment of the story. Lilia can’t remember what it’s like to stay put. For as long as she can remember, she’s been on the move. First with her father, who abducted her when she was 7; then on her own from the age of 16. But, despite the fact that they often felt as though someone was right behind them, she always felt safe. He’d tell her anything about everything, except Before. He said it wasn’t really that important. He said they had to live in the present. Before was shorthand for the time before he started driving away with her, Before was a front lawn somewhere far to the north. More specifically, Before was her mother. 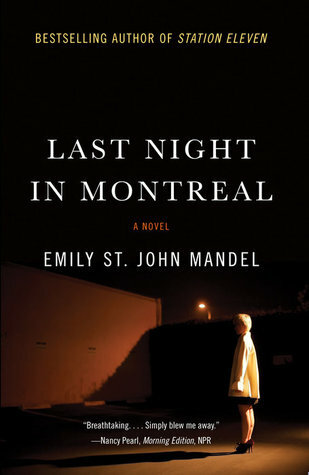 At 22, she finds herself in New York and in a relationship with Eli. When she leaves him, he doesn’t see it coming. When he looks back on it in his mind over and over again, he can’t think of anything that happened differently that day. But, he can’t help but wonder if there is anything he could have done to stop it. He tried not to press her for too many details, about her scars or her family or anything else; she’d come from nowhere and seemed to have no past, and it seemed possible, even in the beginning when everything was easy, that the tenuous logic of her existence in his life might collapse under close examination. He didn’t want to know. 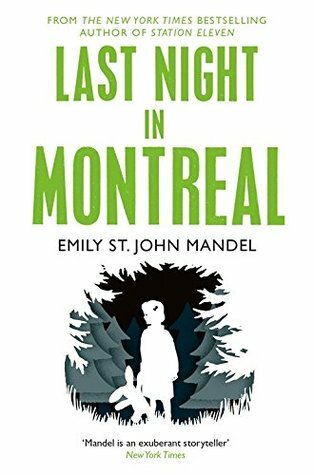 A little while after Lilia has left, Eli gets a mysterious letter from Montreal. 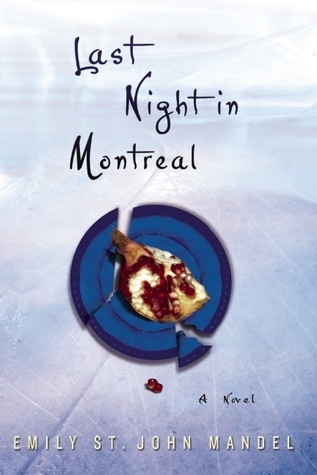 Hoping to convince Lilia to come back, he travels to Montreal to follow up on the message, and finds himself playing mind games with Michaela, who seems to know more about Lilia than Lilia does about herself. Will she ever be found? And, will there ever be a time when Lilia feels she can stay in one place? The detective on her case; he ended up neglecting his own family to trail Lilia – what caused him to be so obsessed, especially when he had a family of his own? What would it be like to spend most of your childhood on the road; to know nothing different? I can’t decide if it would be fun or awful. One more thing: The book covers in my post are in order of when they came out. Which do you like best, or think best suits the book? It’s been years since I read this so I don’t recall anything other than the feeling of being extremely impressed with the author’s skill AND that the ending was startling. But I don’t remember WHAT the ending was! Glad you enjoyed it. So glad to hear you enjoyed it too (even if you can’t remember why)! I’m thinking about trying out another of her books to see if whatever she’s doing right for me is consistent. You already know that I liked this book. I thought it was well written, and like you, I really like Eli’s love of dead languages. That was one of the things that really hooked me at the beginning. I will definitely look for her other books, especially Station Eleven, which I have yet to read. Yes! Even though the dead languages didn’t have a lot to do with the plot, I loved the idea of it and wanted to include it in my review somehow. It wasn’t really necessary for the plot, but I thought it added a lot to the story anyway. I’m glad you liked this one, and I’m hoping you will also like Station Eleven! I’m thinking of trying a third one of hers (who knows when I’ll get to it, though). I like the last cover the best. A great review too. I like your lists at the end of each review. Keep it up. Gosh, I wasn’t aware she’d written anything but Station Eleven (still on my TBR list.) This sounds fascinating and I’ll keep an eye out at the library. Station Eleven is her fourth book. Last Night in Montreal is her first. And there are two in between. I have my eye on The Singer’s Gun next. Enjoy Station Eleven – it’s so good! Maybe he did remind me of Gilbert, although there are many things about him that are very different from Gilbert. But, there did seem to be a boyish innocence about him, which is the same reason it was obvious to me that they couldn’t end up together- he has some more growing up to do first.